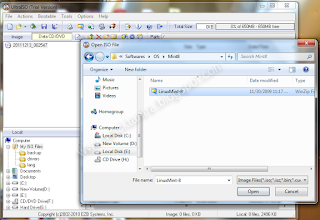 Make USB bootable by following below steps mention in this post.We boot our computer with the help of bootable OS CD/DVD.But sometime the CD/DVD is not available with us but we have the ISO image of the file. So instead of burn that ISO image to a CD/DVD you can use your PenDrive/USB drive as a bootable device and boot your OS from that bootable USB Drive. 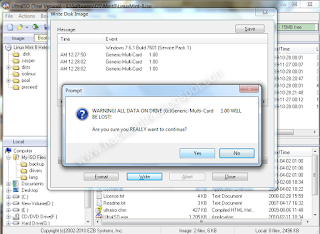 You can make USB bootable by following below mentioned steps. Question is how we make USB bootable ? So here is a very Simple Solution. 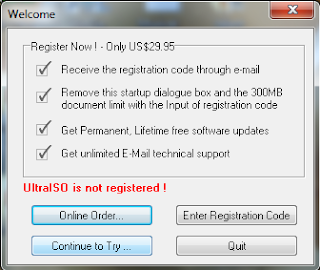 For this you have to download a software called "ULTRA ISO" . 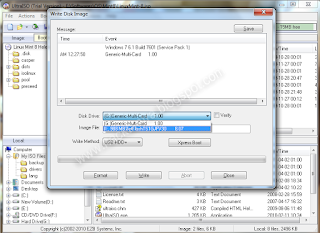 You can download it from bootable usb software free download. After you downloaded the file, install it to your computer. 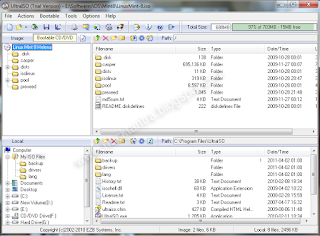 Now carefully follow the following steps to make your USB/PENDDRIVE bootable. 1. If You are using Vista/Windows 7 than run Ultra ISO using the administrator privilege. Image shown below is for your reference. In case of XP or Low version of Windows OS you can directly run the software. 2. Now after you run the software UltraISO a small window will popup.Click in continue to try option. 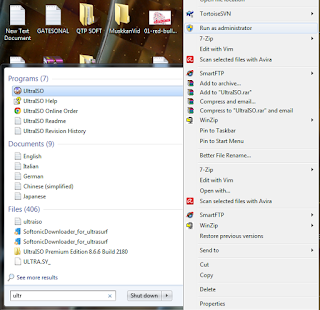 4.Click on the open icon one the title bar or simply press "CTRL+O" the open popup will open like this. 5.Now go to the Location in Your Hard Drive where the ISO file of OS is located.Select the appropriate file and open it. 6.Now Go to the bootable menu in the menu Bar. and select write disk image. option. 7. After you click on this option, A new window will appear which will be like this. 8. 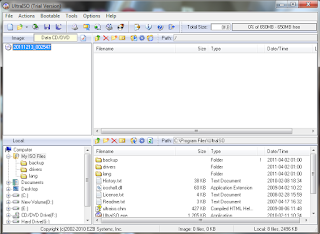 Select your USB Drive from the drop down menu and click on the write option. You will be prompt with the this dialogue box shown below. Click one yes to continue. 9. It will take some time and than your USB will be bootable with ISO image. You can boot your computer from this USB. 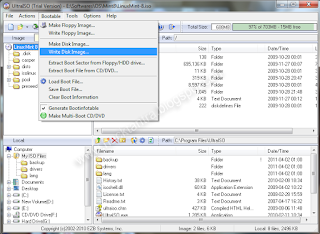 You can make bootable USB for all type of OS like WIN 7, Vista, Ubuntu, mint etc. Also you can make bootable USB of so many live OS of Linux like BACKTRACK. NOTE- You cant make Bootable windows XP USB with help of this Software. This is how you make USB bootable. Good sharing of this nice post. thanks.